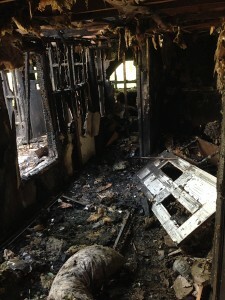 Mager Enterprises is a full service general contractor, specializing in fire damage restoration. If you’ve experienced a fire emergency, you can count on the experts at Mager Enterprises too get you back in your home or office as quickly as possibe. Below is a list of our proven restoration steps. Our Factory trained technicians will follow all government and IIRC standards to get your home or office back to mint condition. Step 1) Call Mager Enterprise for emergency service. The office phone number is (317)786-0280, or our emergency, after hours number is (317)833-7743. We have a fire and water restoration trailer ready to go. 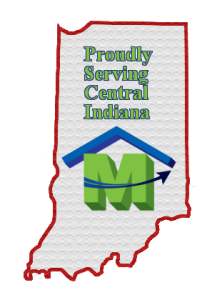 We can be on site in about ninety minutes, or less within the Indianapolis area. Step 2) Board-up broken windows and tarp off roof damage. Step 3) Remove all freestanding water using our specialized equipment. Step 4) Tear-out and removal of material and flooring that is damaged beyond restoration. Step 5) Dry-out the space using specialized fans and dehumidifiers. Step 6) Clean up and mold prevention using specialized cleaners and solvents like antimicrobial spray to ensure the longevity, health, and safety of your flooded area. Step 7) Odor removal agents. Step 9) Billing, paperwork, and customer files submitted to insurance company. Trust the experts at Mager Enterprises for all your water restoration needs.